'Stairway To Heaven' Plagiarism Suit Against Led Zeppelin Members Heads To Trial : The Two-Way A lawsuit claims that Led Zeppelin perpetrated a "falsification of Rock n' Roll History." A federal judge dismissed that part of the plaintiff's case. Robert Plant and Jimmy Page of Led Zeppelin are defendants in a copyright lawsuit that accuses their band of lifting music from the song "Taurus" by the Los Angeles band Spirit. A jury trial is now set for a lawsuit that says members of Led Zeppelin plagiarized a key element of the best-selling song "Stairway to Heaven." The estate of Randy Wolfe, the late guitarist of the band Spirit, initially filed the federal lawsuit two years ago. On Friday, U.S District Judge R. Gary Klausner ruled that there's enough evidence to move ahead with a trial to decide whether Led Zeppelin and guitarist Jimmy Page unfairly appropriated the guitar line from the Spirit song "Taurus," which Wolfe — performing as Randy California — wrote years before "Stairway to Heaven" was released in 1971. The lawsuit was filed with a Philadelphia court back in 2014, the same year Led Zeppelin released a newly remastered version of "Stairway to Heaven." A year later, the venue was changed to California, to the same court that recently ruled in favor of the estate of Marvin Gaye in its copyright infringement lawsuit over the 2013 hit "Blurred Lines," by Pharrell Williams and Robin Thicke. Among the claims in the lawsuit against Led Zeppelin: that the band perpetrated a "falsification of Rock n' Roll History." In his order, Klausner finds that claim "inventive—yet legally baseless," saying that he diligently sought out anything that might support the theory. Klausner also removed Led Zeppelin bassist John Paul Jones from the suit, along with music publishers Super Hype and Warmer Music. That leaves Robert Plant and Jimmy Page as the leading defendants in the case. Spirit recorded its song "Taurus" in 1967. As Klausner recounts in his court order, the plaintiff says that Led Zeppelin's members had a chance to become familiar with Spirit's music because the two bands "performed at the same venue on the same day at least three times between 1968 and 1970." Those shows, Klausner notes, were all part of festivals. The judge also notes that Led Zeppelin's surviving members have "testified that they never toured with, shared a stage with, or listened to any of Spirit's music during these brief encounters." The "Stairway to Heaven" trial is set to begin on May 10, and the plaintiff's attorney, Francis Alexander Malofiy, has said that he's seeking a songwriting credit for Wolfe. A favorable finding could also bring a share of the song's profits — by 2008, it had reportedly earned $562 million. We'll also note that in at least two recent cases, Malofiy has been accused of improper behavior — including allegations of "misleadingly altering a document in a $5 million class action" against Volvo, as Law 360 reported in February, and creating what a U.S. district judge called a "poisonous atmosphere" in a copyright case against the singer Usher, as Philly.com reported last year. 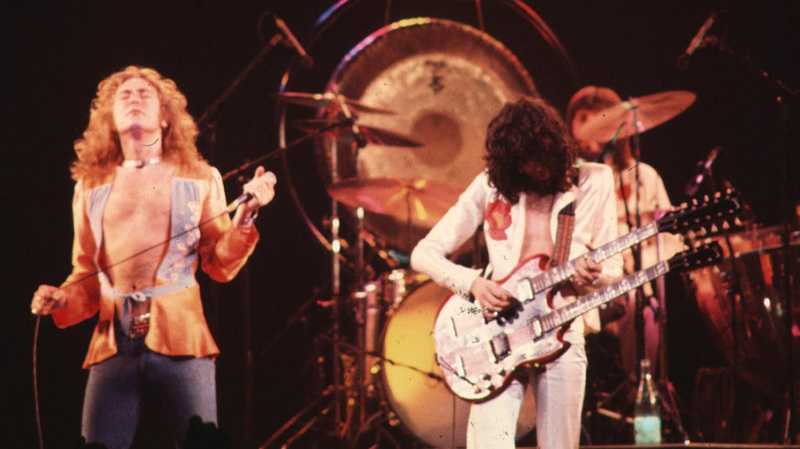 "This isn't the first time Led Zeppelin has been accused of plagiarism. Just listen to the band's recording of 'Dazed and Confused' and compare it with folk singer Jake Holmes' 'Dazed and Confused,' recorded two years earlier. It's practically the same song. Holmes filed a copyright infringement lawsuit against Led Zeppelin in 2010." In January 2012, Holmes' lawsuit was dismissed at the plaintiff's request — as is often the case when a settlement has been reached.